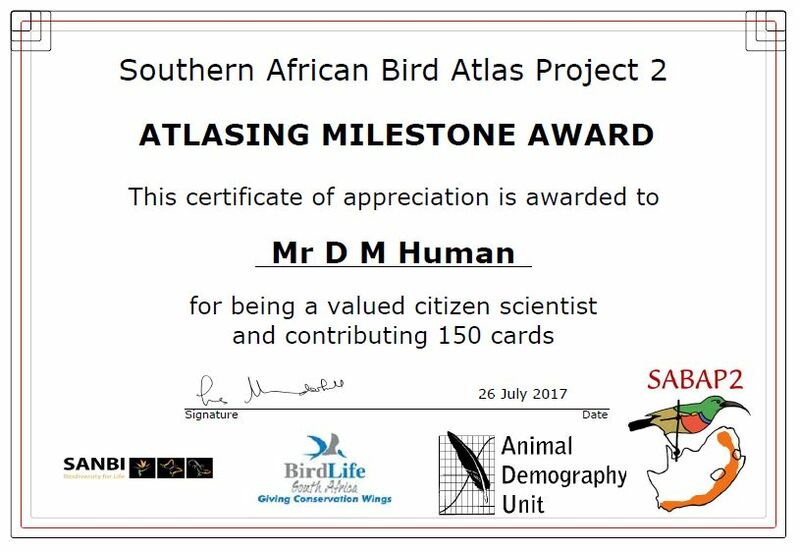 Southern African Bird Atlas Project 2: Milestone reached! I have reached a milestone this week by submitting my 150th Full Protocol SABAP2 card. I achieved this with a 70 species card in my local pentad 2545_2815.